On today’s episode of the Journeywomen podcast, I’m chatting with Sarah Walton on the topic of hope when it hurts. We talked about everything from Sarah’s own experience with suffering to how we can remind ourselves of the gospel, even in the midst of our pain. All throughout our conversation, she shared how the gospel speaks into all areas of our lives and gives hope to our suffering. So you’ll know her a little better, Sarah is a stay-at-home mom with four kids under the age of 11. 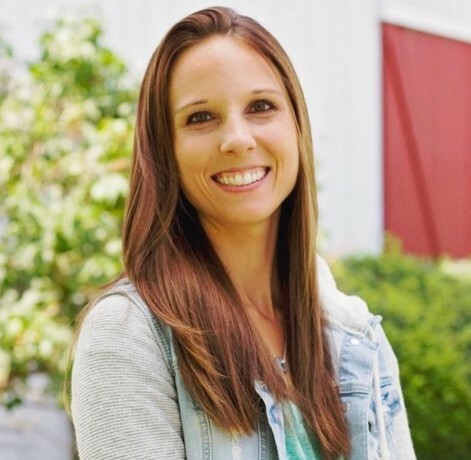 She also authored a book along with Kristen Wetherell from episode 67 called Hope When It Hurts: Biblical Reflections to Help You Grasp God’s Purpose in Your Suffering. You can follow her blog at Set Apart: Hope on the Road Less Traveled and find some of her writing at Desiring God, Revive Our Hearts, and Unlocking the Bible. What does suffering look like in your own life? How does walking through pain and suffering affect our view of God? What hope does God offer even in the midst of suffering? What do we need to suffer well? What would that look like? How does the gospel impact all of life, including our most difficult circumstances? What does it look like to suffer apart from the gospel? What does it look like to suffer embracing and knowing the gospel to be true? How do you practice remembering the gospel in the midst of your pain? What would it look like for the Body of Christ to practically come alongside you in your suffering? What true words of encouragement can we offer those who are suffering? What are some things that, while well-intentioned, we might actually want to avoid saying because it could be more hurtful than helpful? What 3 resources would you recommend for someone who is navigating a season of suffering either by themselves or alongside side a friend? How has pain and suffering shaped your view of God? How can you practice remembering the Gospel in the midst of your pain? Prep Dish is a healthy subscription-based meal planning service. All you need to do is sign up and then you’ll receive an email every week with a grocery list and instructions for prepping your meals ahead of time. For a free 2-week trial, go to PrepDish.com/journey. Elora Inspired is a Christian children's brand offering apparel, things for your home, and their newest product, silicone scripture placemats! All of their products incorporate Scripture with hopes of pointing everyone to Christ. Be sure to check out elorainspired.com!